I’m crazy about chocolate but I’ve reached this season where I need an alternating flavor to elevate the chocolate flavor in anything. Now don’t get me wrong, I can totally devour a chocolate brownie independently but if given a choice I would prefer something to complement any chocolate goodness in my plate, hence my new found love for blondies! 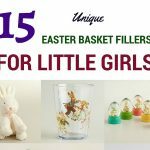 With Easter right around the corner, I’ve been pulling up old Easter resources and pinning new ones to my Easter board on Pinterest. 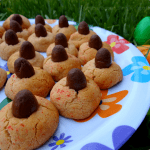 On one such pinning spree I found inspiration for my Easter Blondie Bites. 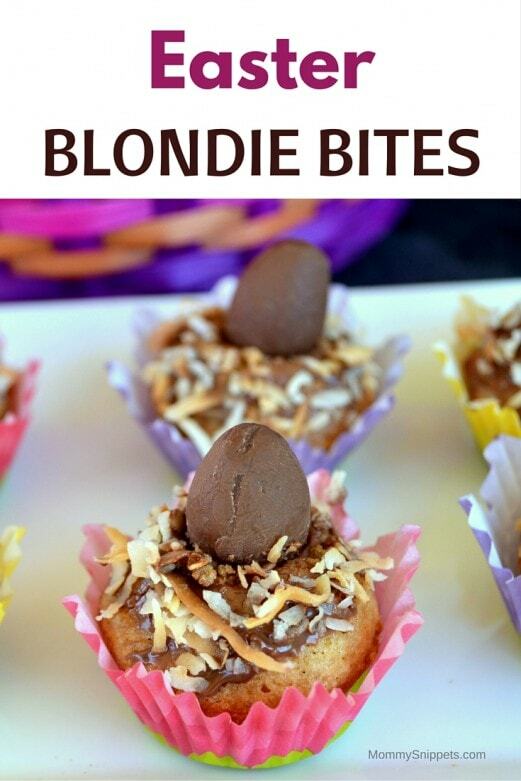 The idea of topping brownies with toasted coconut is genius, so why not with blondies? And yes, those beautiful petal shaped mini cupcake wrappers are a must to complete the look! 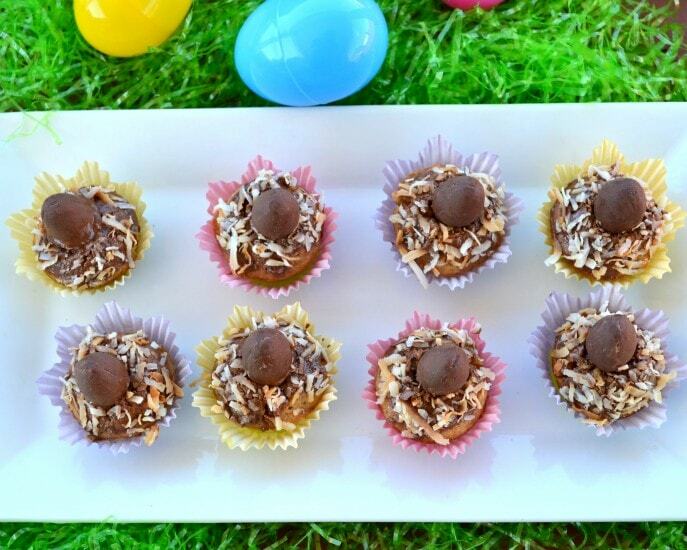 Place the mini cupcake wrappers in the mini muffin pan before starting on the batter. In a bowl, mix the all purpose flour, baking powder and salt together. Then take a saucepan and melt the butter in the same. Once melted, take off the stove and mix in the sugar. Once blended add the eggs and vanilla extract. Mix well. Now pour the batter into the mini muffin wrappers 3/4ths of the way. 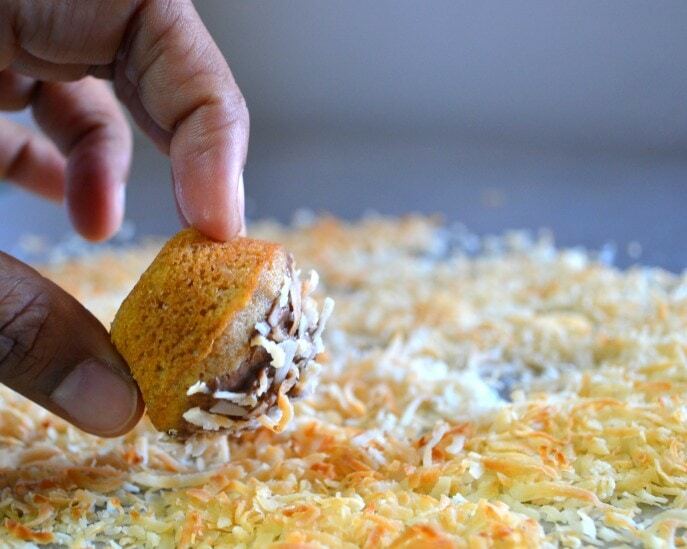 While the mini muffins are baking, spread the cup of shredded coconut on a cookie tray and place it in the oven. 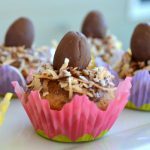 Wait for 2-3 minutes till you see the coconut shreds browning. Remove before it browns too much. Once the muffins are ready, remove the pan from the oven and set aside to cool. 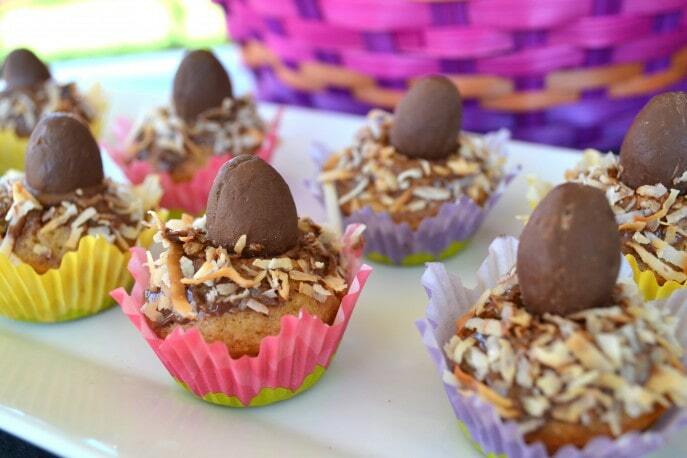 Apply a thin layer of your choice of homemade chocolate frosting or Noccialata to the tops of each mini muffin. Sprinkle a little of the toasted coconut on the same. 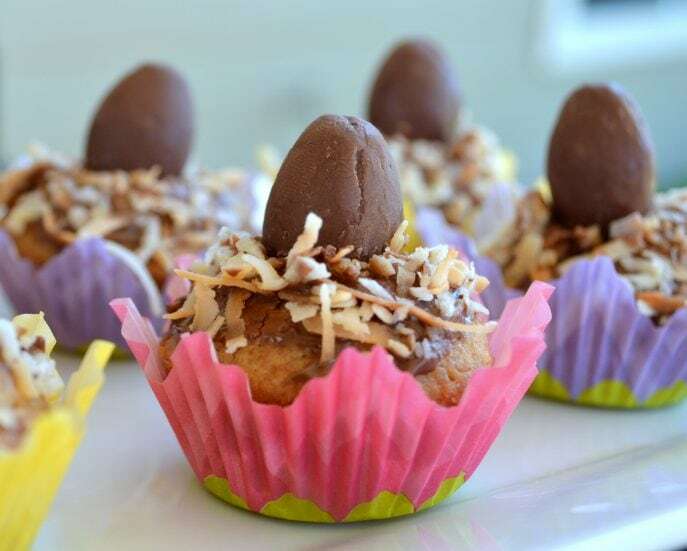 Take a knife and make a small slit on the top of each muffin, to help each chocolate egg sit easily on the same. 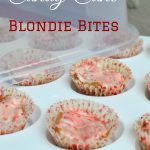 Set aside a few blondie bites for yourself before serving the same. These will be finished in no time once they hit the table! 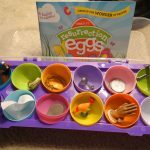 Teaching children the Easter story with Resurrection Eggs.